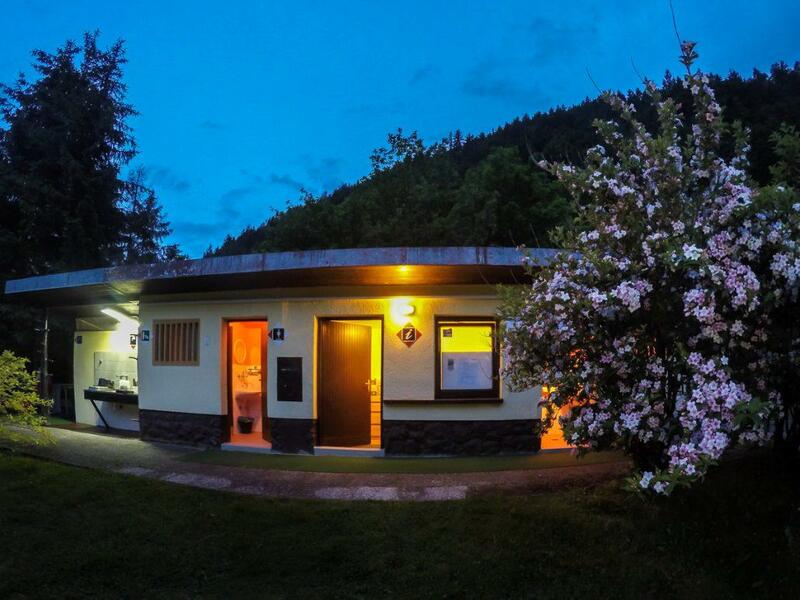 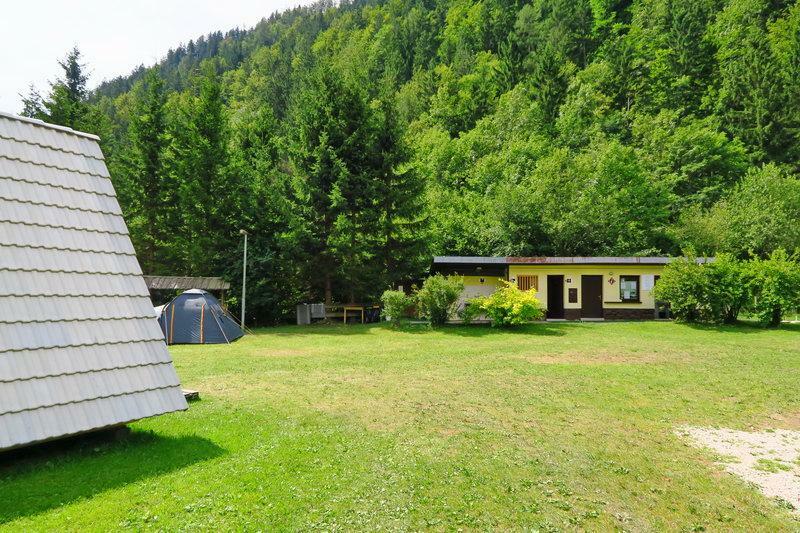 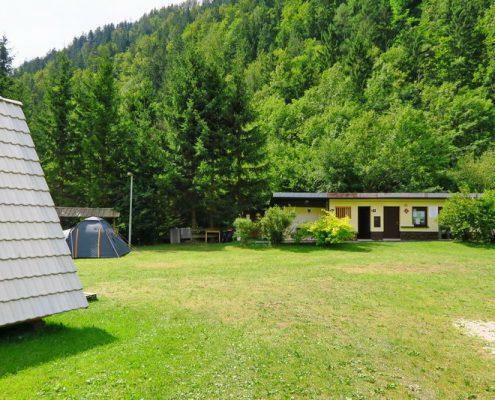 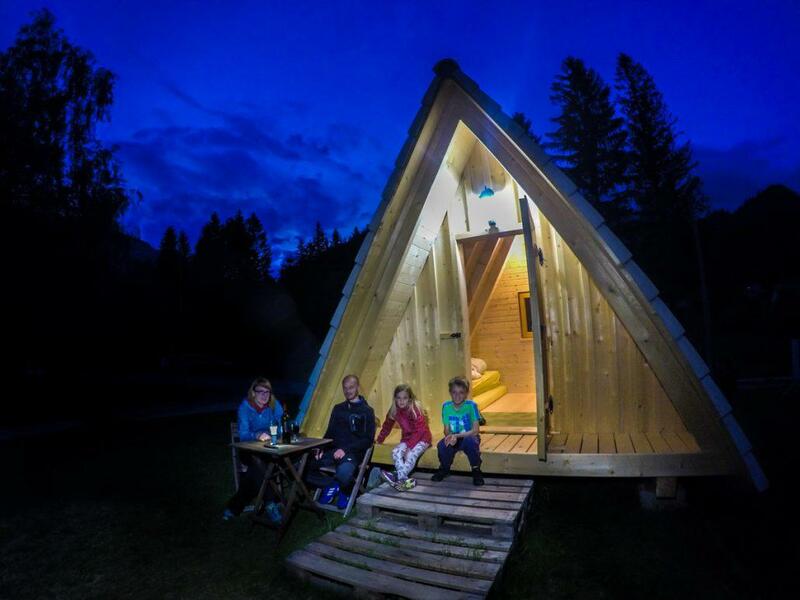 Camp Podljubelj (formerly known as Autocamp Tominčev Slap Podljubelj) passed over for management to the Premrl family in 2016, where they (with the help of a team) try their very best to turn your stay into a pleasurable and unforgettable experience. 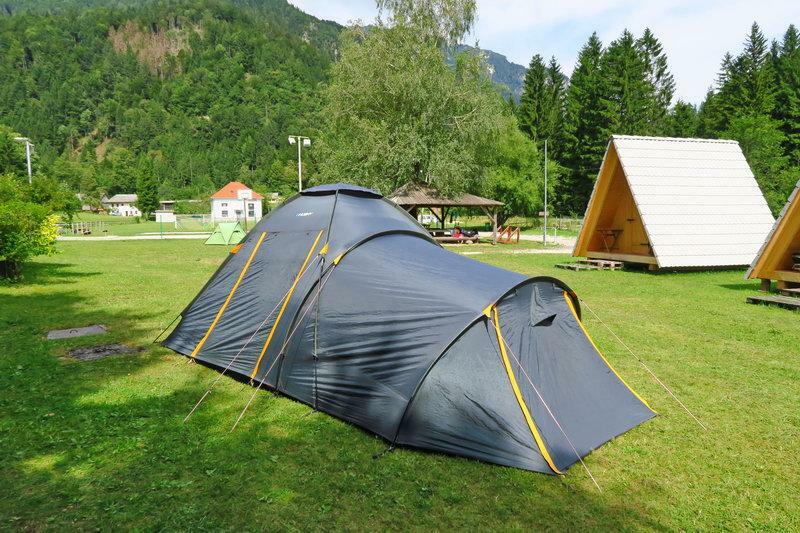 Usage of space for tents, campers, trailers, etc. 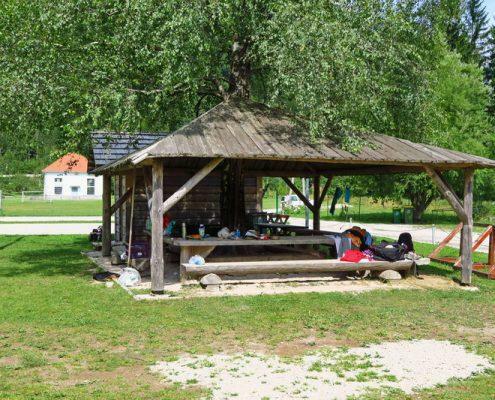 There is also a café in the camp where drinks are served from 4 – 10 PM on weekdays, and 10 AM – 10 PM on weekends. 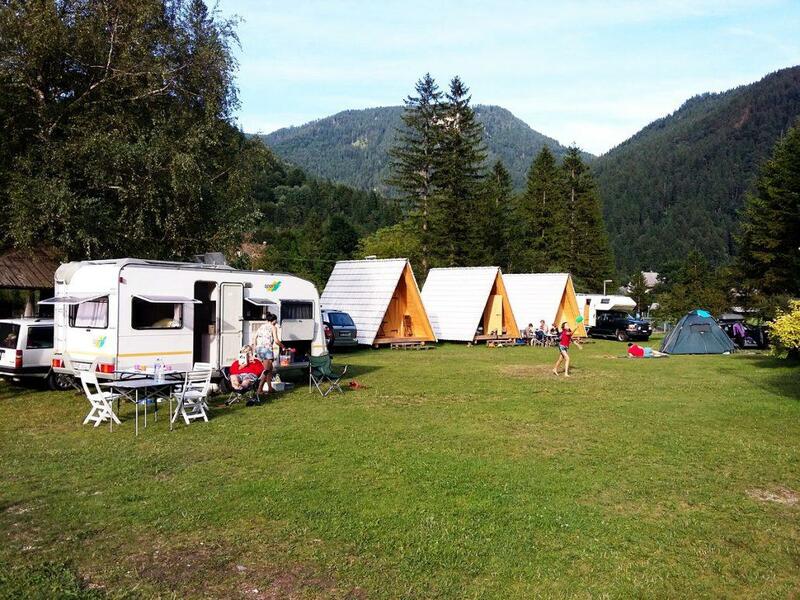 The camp is open all year round, while camping is available from May to October, depending on the weather. 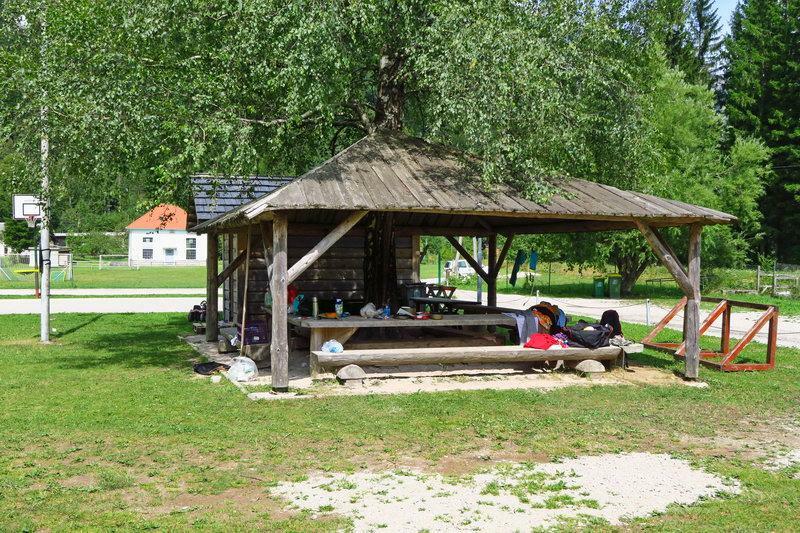 For more information you can reach us by phone: 0038640 55 44 36 (Gregor Premrl) and 0038640 32 22 82 (Marija Ahačič Premrl). 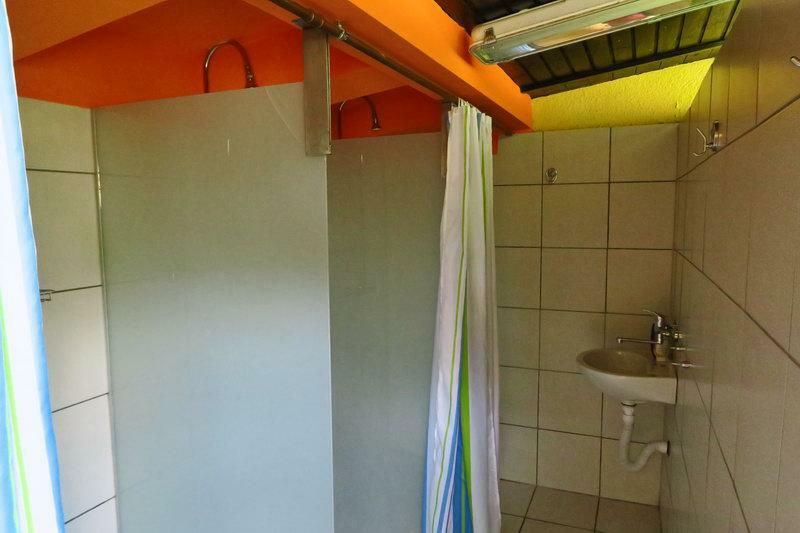 Follow us on our Facebook profile to catch everything that is new. 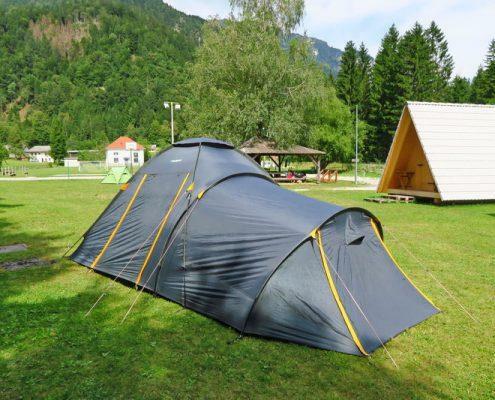 The price includes a space in the camp (for a tent, caravan, camper, etc. 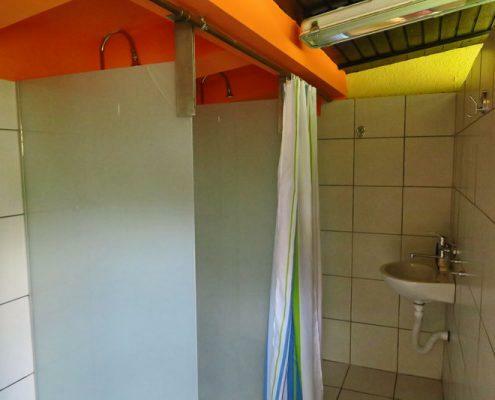 ), bathroom facilities and accommodation fees (check-in and overhead expenses). 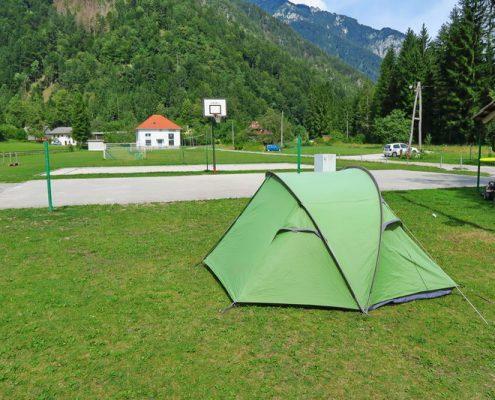 *The tourist fee is not included in the price! 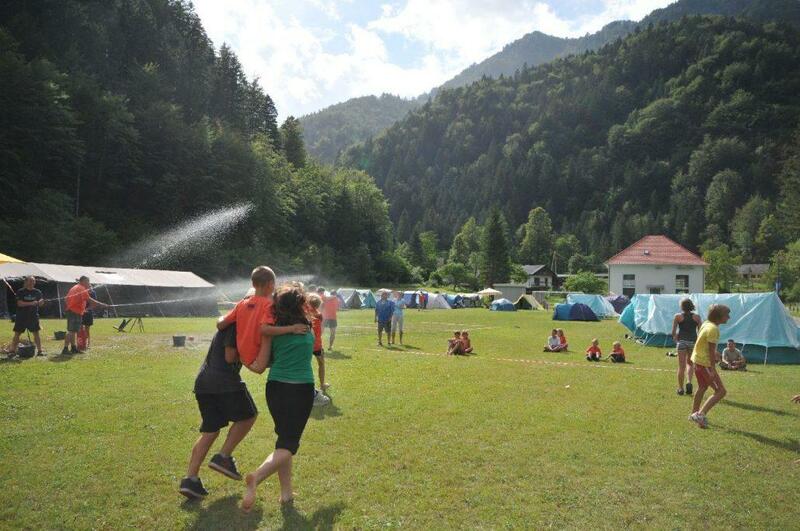 Tourist fee for persons older than 18 years costs 1,15 ERU per day, and for persons aged 7-18 years 0,58 EUR per day. 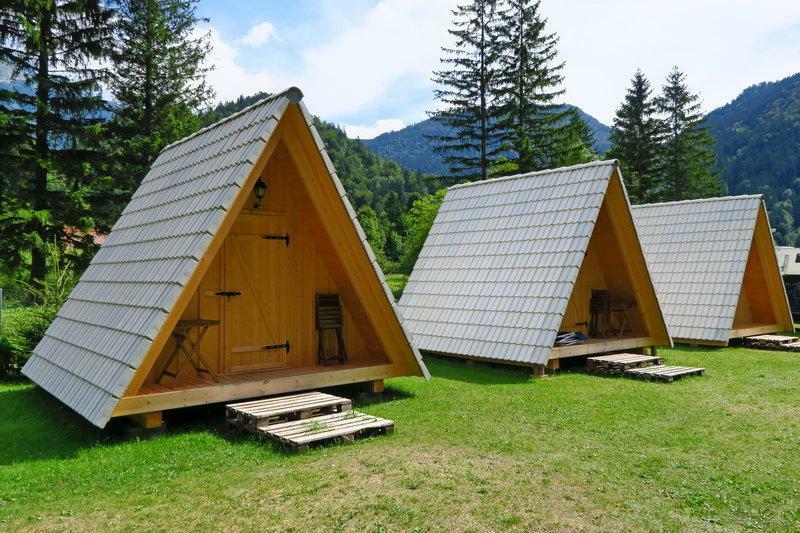 The price includes the usage of the a-frame cabin (beds, linen, electricity, and cleaning), bathroom facilities and overnight stay costs. 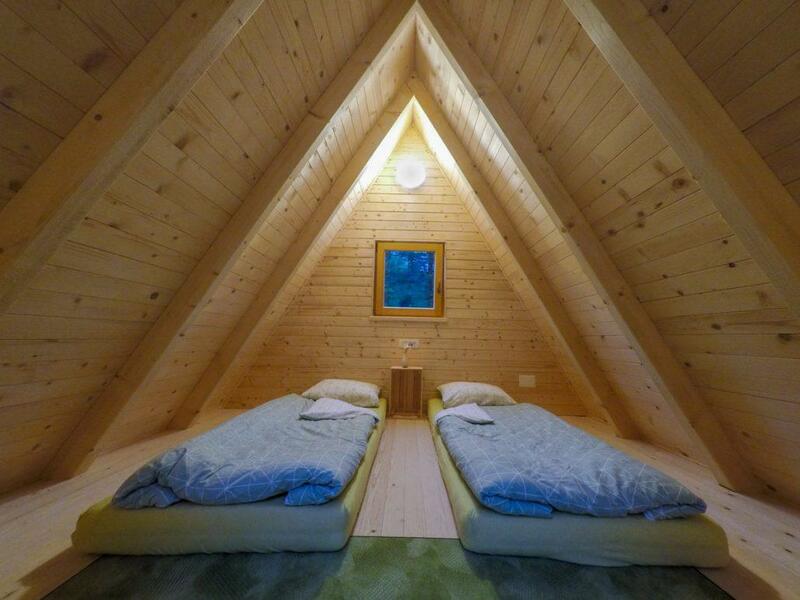 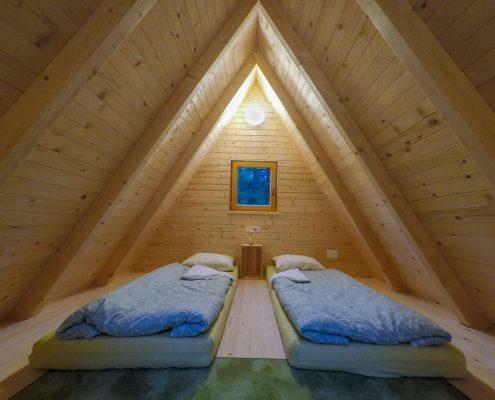 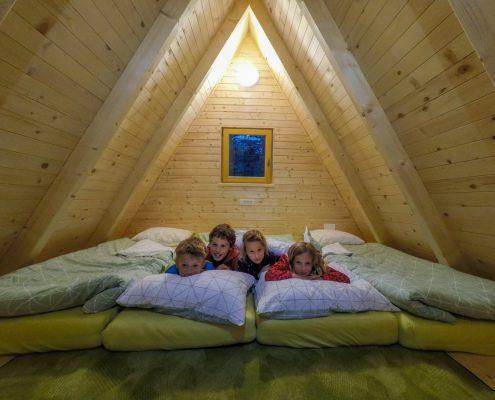 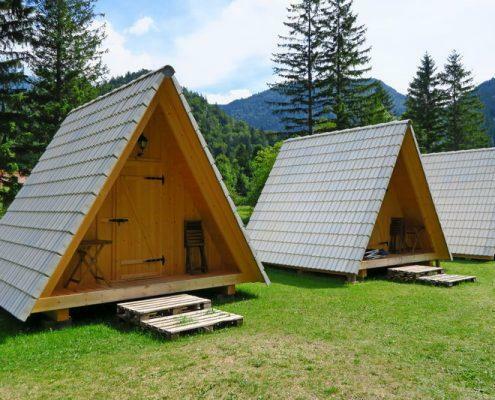 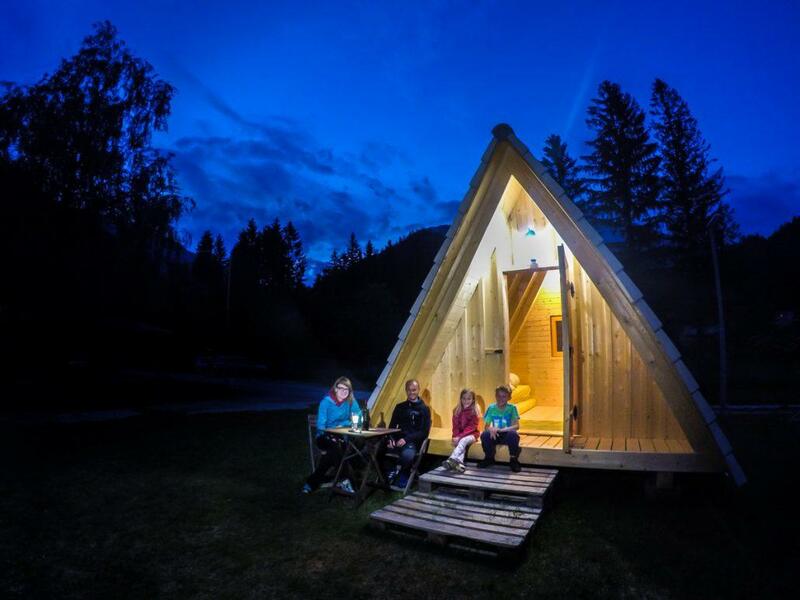 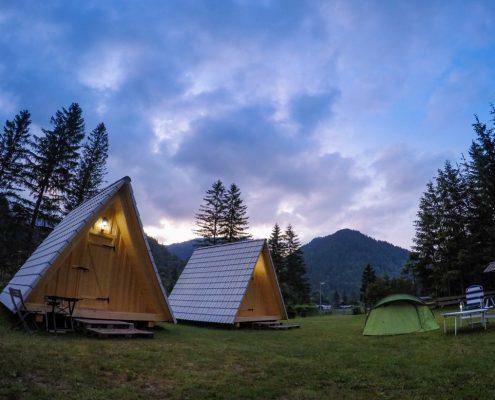 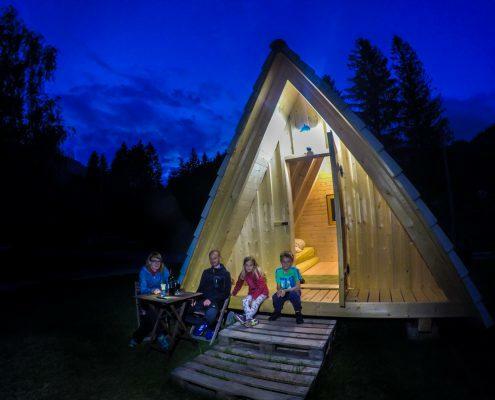 The a-frame cabins can accommodate up to four (4) beds (2×90*200 cm in 2×70*200 cm). 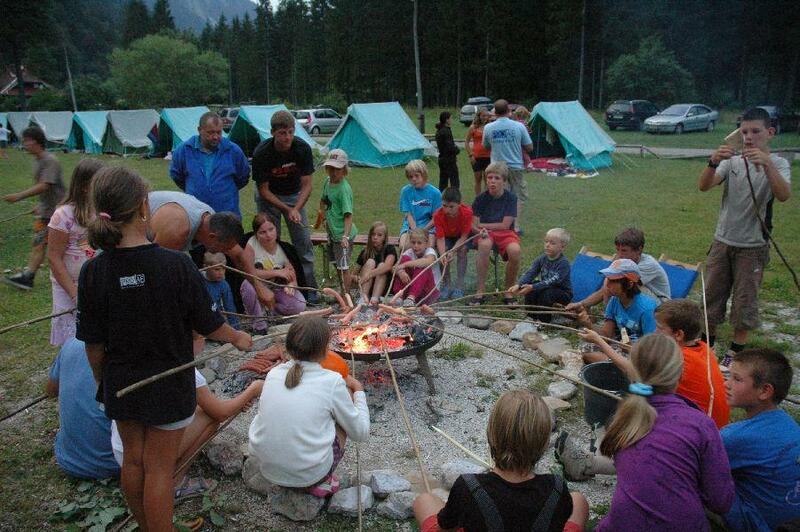 Tourist fee for persons older than 18 years costs 1,15 EUR per day and for persons aged 7-18 years 0,58 EUR per day. 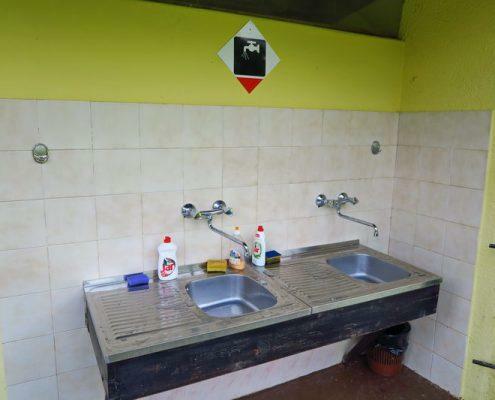 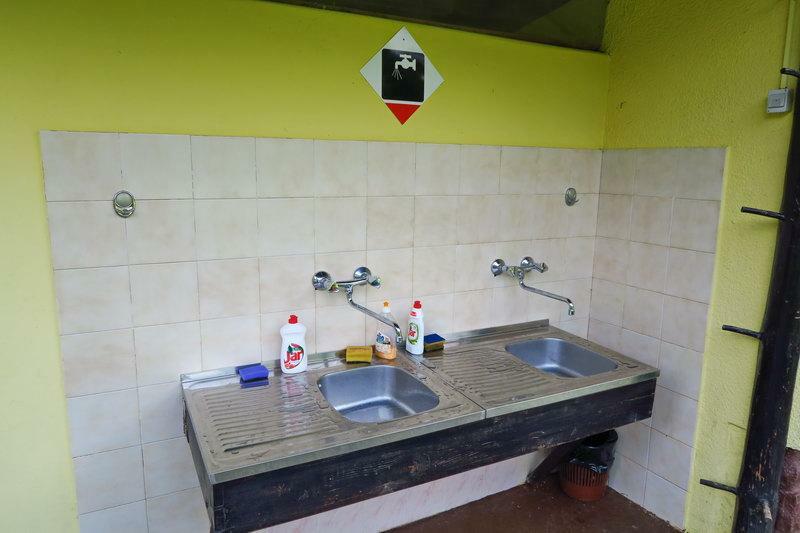 Sanitary block is provided with a male and female toilets, three showers and double washbasin. 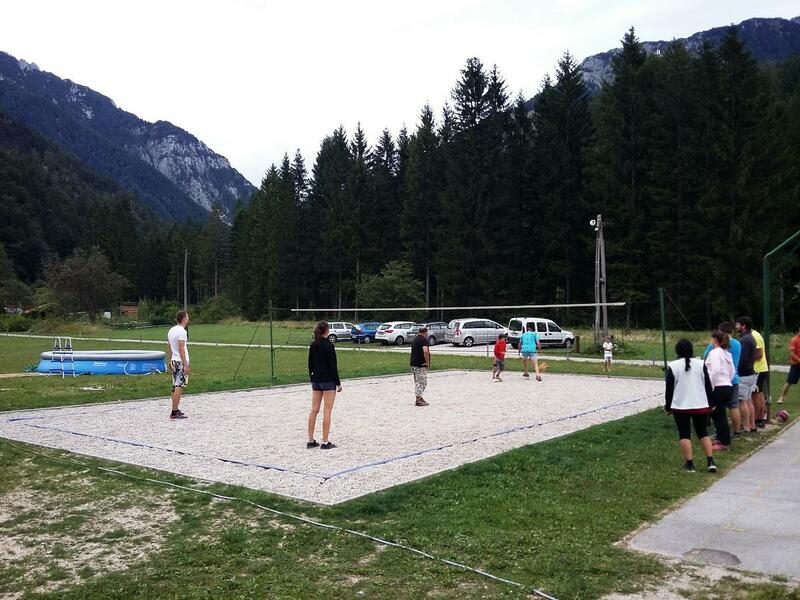 Guests can also use the summer kitchen, play and sport areas (football, volleyball and basketball courts). 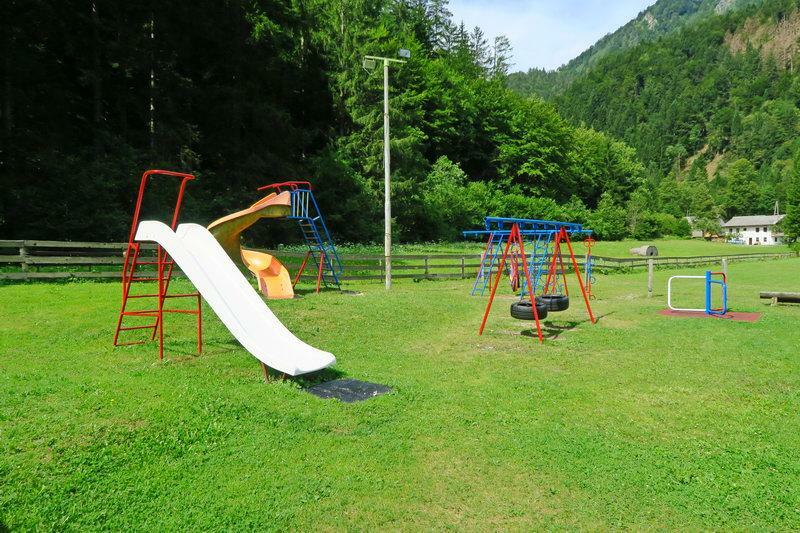 You will find playground and sports fields in the camp. 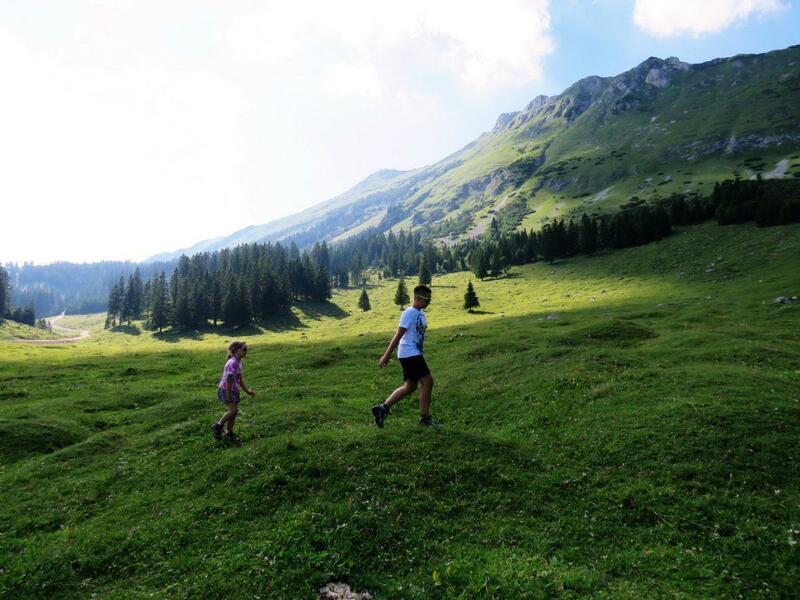 The area around the camp offers many opportunities for hiking any difficulty, mountain biking, climbing and exploring nature. 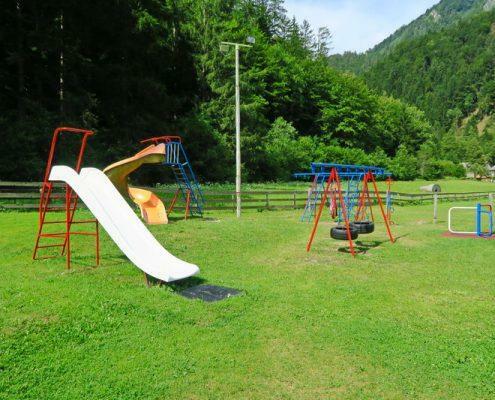 InTržič there is an annual pool Gorenjska beach, camp is also an ideal starting point for excursions to the Gorenjska and Carinthia. 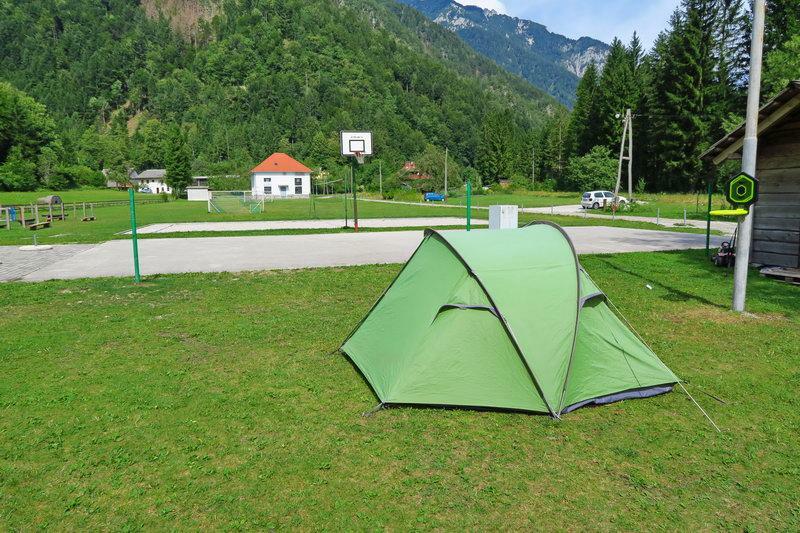 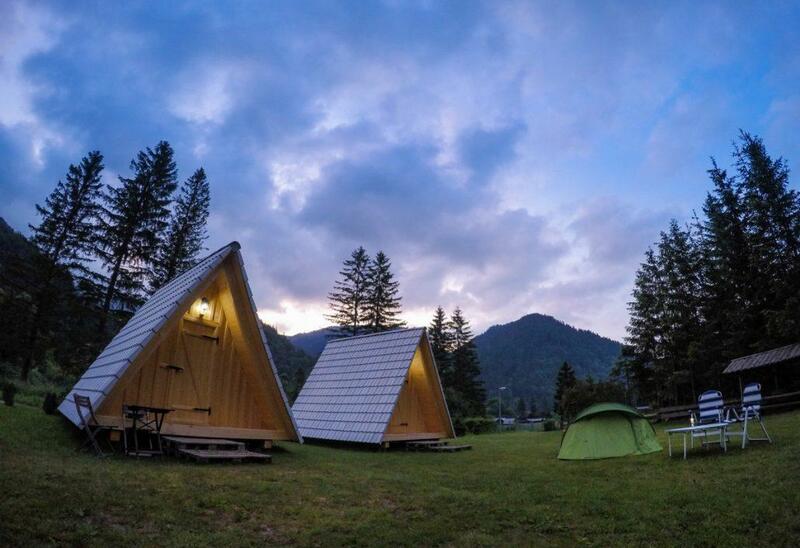 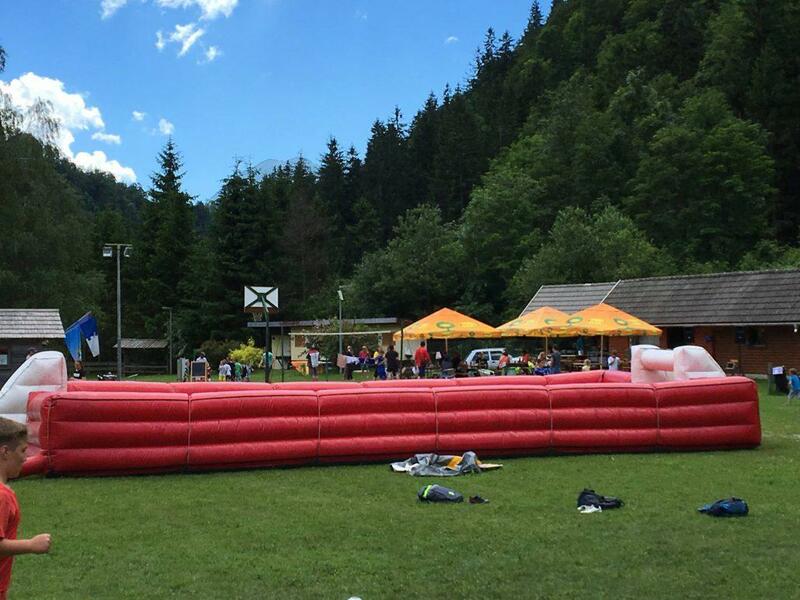 The camp Podljubelj can also host bigger groups, scouts and other mountain camps.